I love your Silver State Saison! I know you only brew certain beers at a certain time, however I think this one deserves a permanent place in your line up. We love hearing how much people enjoy our different styles of beer we brew throughout the year. Rest assured that the Silver State Saison will be coming back around, but like the seasons of the year, enjoy it while it's here! For those who are sick of all the smootchy-sweetie-chocolate-covered-gag-reflexey talk of love on Valentine's Day! Who needs Love? We have Beer! Happy Ending cookies for dessert! If you love Valentine’s Day, take your happy, healthy relationship to our Reno or Sparks brewpubs! Dry hop it. Pop it. Baby, don’t stop it. 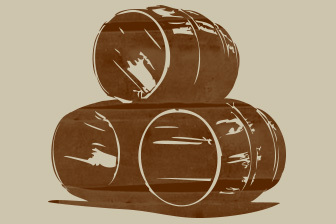 Come see why brew fans love our cask beer! 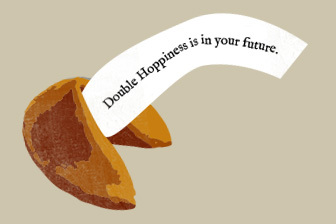 Celebrate 2013 – the Year of the ICKY – with a well-crafted ensemble of Beer-Asian fusion. 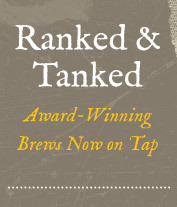 Great Basin Brewing Company is proud to be providing the perfect beer pairing for each course. The Great Basin Brew-Off is a competition for homebrewers of all experience levels. Entrants receive written feedback from certified judges, which includes valuable suggestions on how to make future batch improvements. First, second, and third place medals are awarded in each style grouping, and the overall winner, the “Best of Show”, gets the honor of brewing the entry with the professional brewers of Great Basin Brewing Company and having it entered in the premier national professional brewers competition, the Great American Beer Festival, held in Denver, Colorado each fall. Entrants do not have to be present—It’s actually pretty serious, geeky, and boring to watch—just have your entries delivered to The Reno Homebrewer (beer and winemaking supply shop) located at 2335 Dickerson Rd., Reno, NV, between April 13th and April 20th. A $5 fee per entry is all it costs.